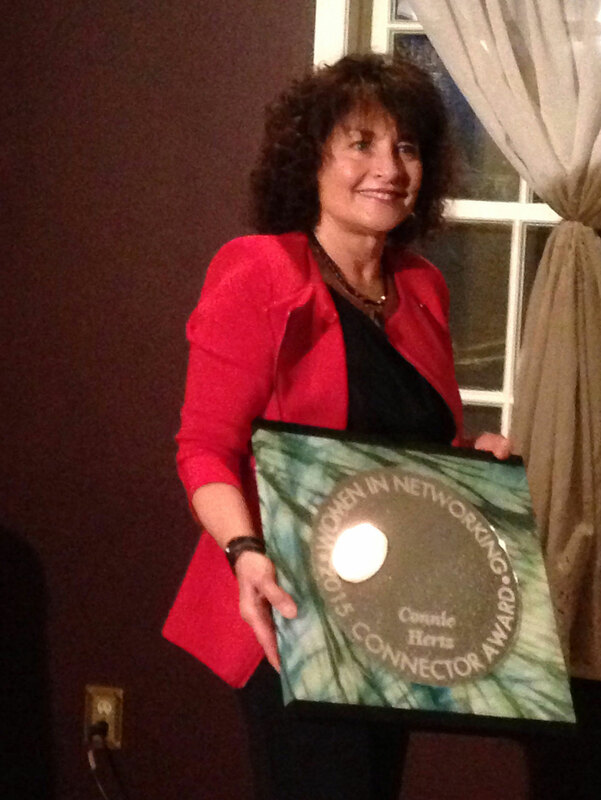 A week ago I was honored with the 2015 WIN (Women In Networking) Connector Award. When I received the call I was nominated in December 2014, I was quite surprised and honored. When I received the call in February a couple weeks before the Awards night, that I had won, voted by my peers, as the winner of this award, I was very emotional. There were several wonderful women that were nominated for this award along with me. The evening of the event, was done so beautifully, it was a humbling experience. Hale and some of my close friends were there as my quests. As I was the first to get up and receive my award, ( there are 3 categories of winners each year) I had not prepared a speech. I said a prayer that I would say what I needed to say and say it from my heart. Of course I had tears, and was so moved by this experience, I could only speak from my heart. People told me afterward that I had them crying and laughing with what I said. Good thing I will receive a video of my speech, because I can’t really remember everything I said! What have you experienced in your life as a celebration of you? As I think about this, we can intentionally create “celebration moments” for ourselves can’t we? Most of us were taught not to do this kind of thing as it would be “conceited”. I think differently now. We can each consciously do things for ourselves on a regular basis that celebrates who we are. How about honoring yourself by doing things regularly you truly enjoy? You can make sure you begin to say “no” instead of “yes” to things you really don’t want to do. You may find it freeing to be true to yourself and not commit to things that you really don’t want to commit to, simply out of guilt or thinking it’s the right thing for you to do. As I’ve written about in other blogs, take time each day to slow down, breathe, allow yourself to feel what is going on inside of you, and find appreciation for everything you can, big or small. As you begin to do this on a daily basis, I guarantee you will begin to shift things inside of you about how you feel about yourself and others. You will begin to have more in your life that you truly want. Life will begin to get really good for you. My action step for you this week is to find things to celebrate about yourself and do something that will help you to feel celebrated. Write something below, you can do that is in celebration of yourself you can do this week!